Residents living in downtown Windsor want better access to mental health programs while combating the city’s drug problem. 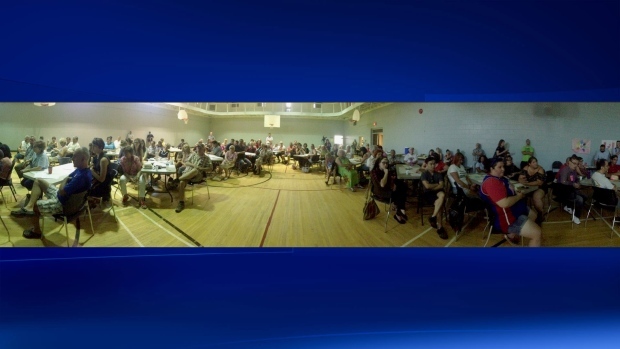 More than 100 people attended the meeting, hosted by the Downtown Residents Association (DRA) and the Downtown Windsor Community Collaborative (DWCC). Organizers say the goal of the project is to organize the voices of more than 18,000 residents who live in the downtown core. Residents shared concerns about opioid use, needle cleanup, the need for an increased police presence and more help for those living with mental illness. Members of Windsor Police, the Windsor-Essex Community Health Centre and the Aid's Society were also in attendance. Representatives all stated they want to work with residents to create a neighbourhood that residents can be proud of. Inspector Jason Crowley of Windsor Police says they take every call seriously, no matter what location in the city. “We'll be there, but depending on what's happening at any given time, we may not be there right away," says Crowley. People who attended the meeting were also asked to sign up and become community leaders, to ensure many voices are heard.